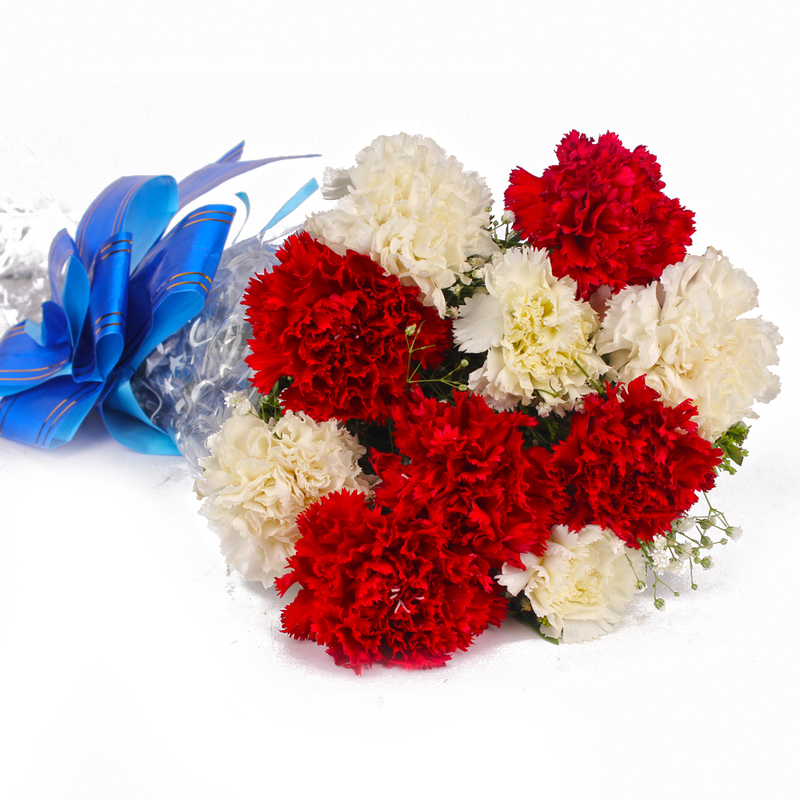 Product Consist : 10 stem of Carnations in Red and White Color with green fillers in Cellophane Wrapping with Ribbon Bow on it. 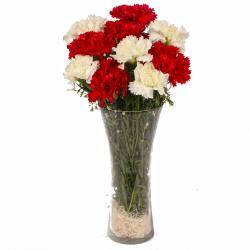 Make your beloved feel special with this set of 5 red and 5 white carnations. 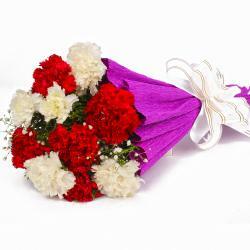 These flowers have been wrapped in sophisticated cellophane paper for holding them firmly. 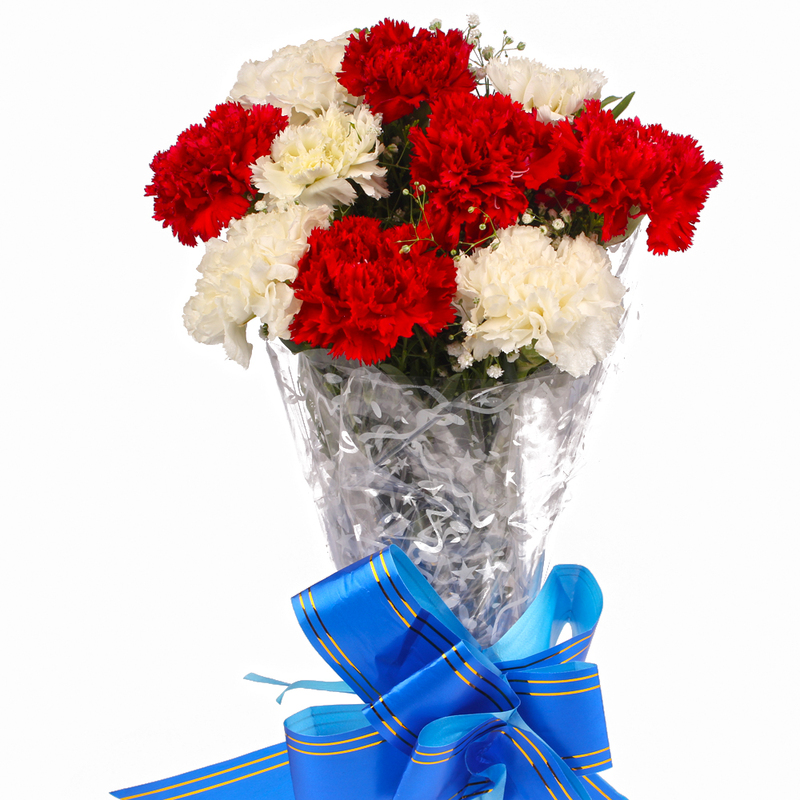 A ribbon bow has been tied around them which match the color of the flowers to round off the look of the bouquet. 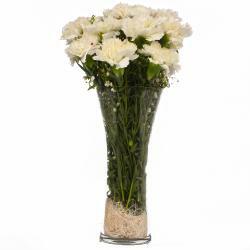 These flowers are perfect to accompany your warm wishes for friends and family on Birthday, Anniversary, Sorry, Onam and Parents Day. 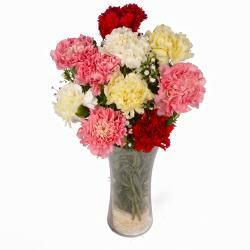 Product contains : 10 stem of Carnations in Red and White Color with green fillers in Cellophane Wrapping with Ribbon Bow on it.